In the spirit of youth volunteerism, we would like to share a story about Dylan’s cousin, Haley Korn, who is a student at Missouri State University. 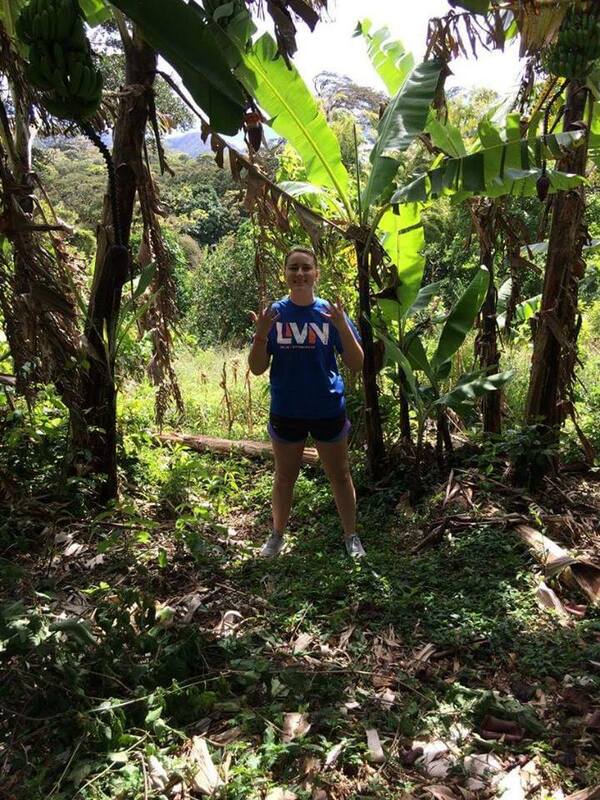 She was fortunate to spend a week volunteering in Monteverde, Costa Rica. Prior to this, Haley has actively volunteered in various activities in Springfield, Ashville NC, and Nashville, TN. Her group was sponsored by the university who provided excellent transportation, lodging, and a group of local advisors. Her service adventure was on a coffee farm where she picked, mulched, and helped in the whole process of coffee making. 4 hours of each day were spent on the farm and the rest of the day they could explore the community and its culture. When asked about her most memorable moment she said, “the last sunset”. Volunteering is helping others to do a service without pay, but Haley felt she was the one who benefitted the most. Not only did she travel to Costa Rica; but also had a hands-on experience at a coffee farm, met a family who welcomed her group into their home, and best of all…”got way out-of-my-comfort-zone”. What a great story that clearly explains Get Busy Livin’ and its “Give to Live” motto. Find out more information about our Youth Organization Volunteerism Grant here.